CIU alumnus Mitch Townley holds Inspirational Country Song of the Year trophy. 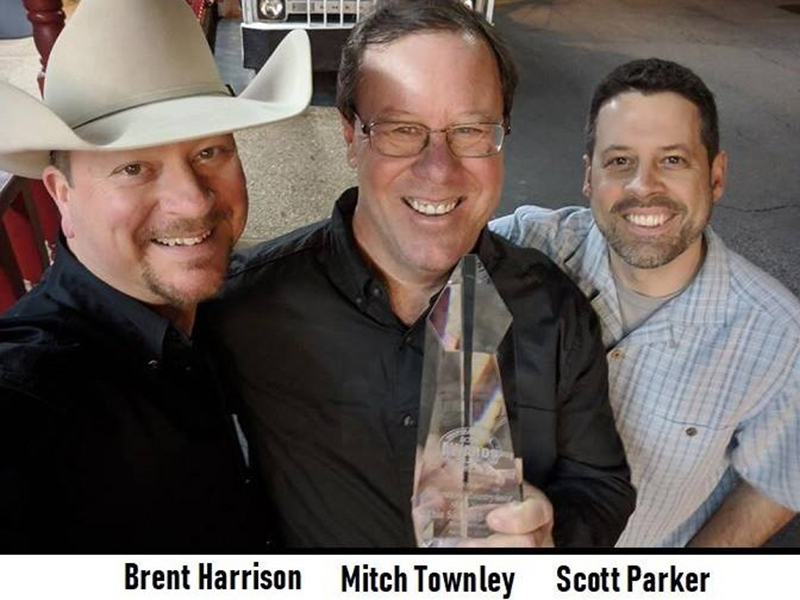 The song “This Side Of Sunday” written by 1996 Columbia International University alumnus Mitch Townley received the 2018 Inspirational Country Song Of The Year award from The Inspirational Country Music Association on April 4, 2019 at the Grand Ole Opry House in Nashville. The song, recorded by Brent Harrison, was selected from a group of 10 finalists. The song was also the 2018 Song of the Year on the Christian Country Countdown where it was #1 for a record-breaking eight weeks. Townley wrote the song with Scott Parker. Townley lives in Knoxville, Tennessee where he has served as the children’s pastor for 23 years at West Hills Presbyterian Church (PCA). He first started writing songs at the urging of his instructor in a Contemporary Music class he took while studying for a Master of Arts in CIU’s Columbia Biblical Seminary. Since then he has written several hundred songs. His first song “Slave To One, Servant To All” was based on a CIU Chapel message. Listen to “This Side of Sunday” at the Brent Harrison website. Discover where a degree from Columbia International University or Columbia Biblical Seminary may take you. Request information on enrollment at CIU and Columbia Biblical Seminary or call (800) 777-2227, ext. 5024. Columbia International University ranks #1 among colleges and universities in South Carolina by BestColleges.com. Excitement is growing on campus with the new $20 million William H. Jones Global Business & IT Center and CIU’s first baseball program.